A Tremendous Turnout Marks The Sunshine State's Second Show Of The Season. 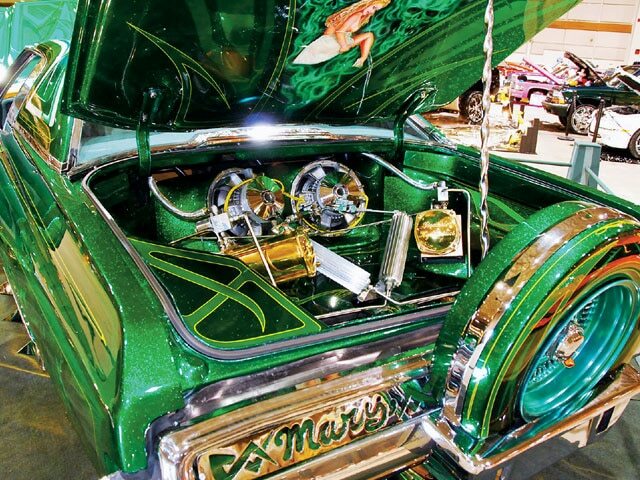 There are two big shows in Florida that are permanently engraved on every lowrider’s calendar. 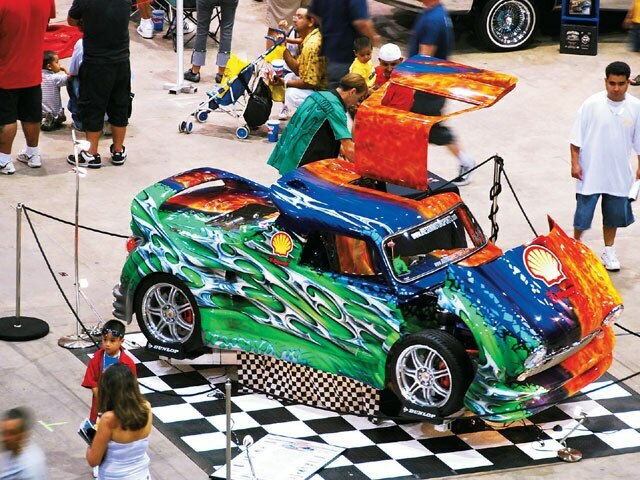 The first is the season opener, the Miami show in January, where many new cars are traditionally introduced. If your ride wasn’t quite ready in January, you don’t have to wait long for the second big event on the schedule, the Tampa show in April. 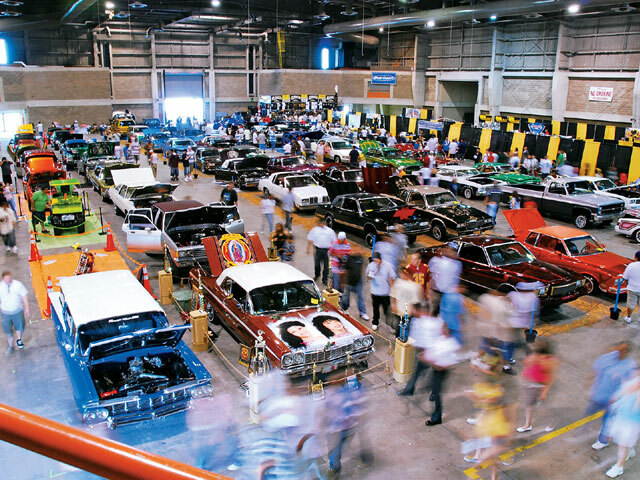 Both bring out large numbers of fans, excited about participating in the event, meeting old friends, and getting new ideas from the huge collection of vehicles on display. 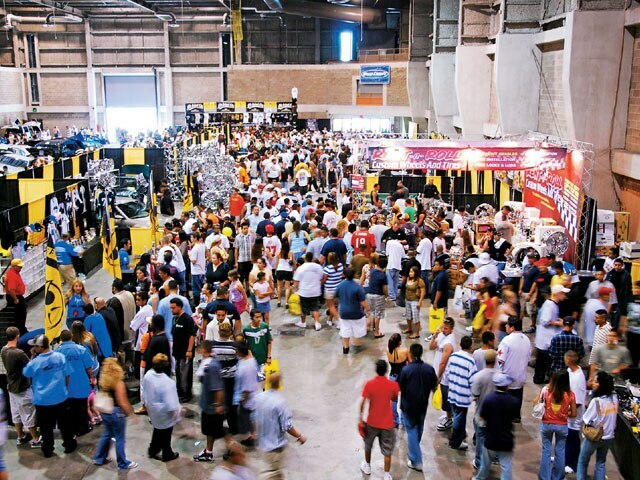 As always, the Florida Fairgrounds was the perfect location, with plenty of wide-open spaces for cars outside, as well as spacious, air-conditioned, indoor facilities. The Saturday roll-in saw a huge crowd of people with an especially large number of vehicles, many in line from the day before. This year, the Fairgrounds had an amazing collection of quality cars, trucks, bombs and bikes, along with an excited crowd of spectators enjoying the fun. 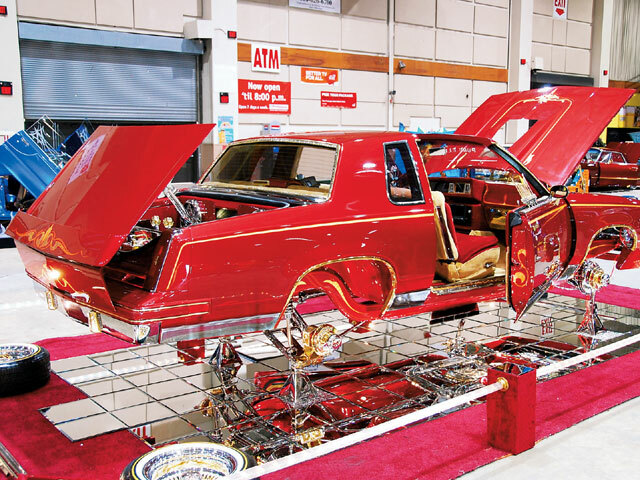 They got a chance to see an unusual array of vehicles, from beautiful handcrafted cars and trucks making their first appearance to well-known favorites like Abe Lopez’ radical ’85 Olds Cutlass, “Pure Elegance,” from Loyalty C.C. and “Tlaloc, God of Rain,” the beautiful ’82 Buick Regal of Augustin Cruz from Brown Impressions C.C. Dozens of clubs parked their vehicles together, representing their finest and enjoying the camaraderie that comes with this show. Obsession, Rollin’, Low Lyfe, Uce, Bottom Out, Rollerz Only, Blvd. Aces, Loyalty, Mystics, Latin Kustoms and Nobility Bike Club, were just a few of those on hand with club members enjoying the event like a family reunion. And you’ve gotta love sponsors Quaker State, CCE Hydraulics, Hispanic Lending and Thump Records for believing in the cause. 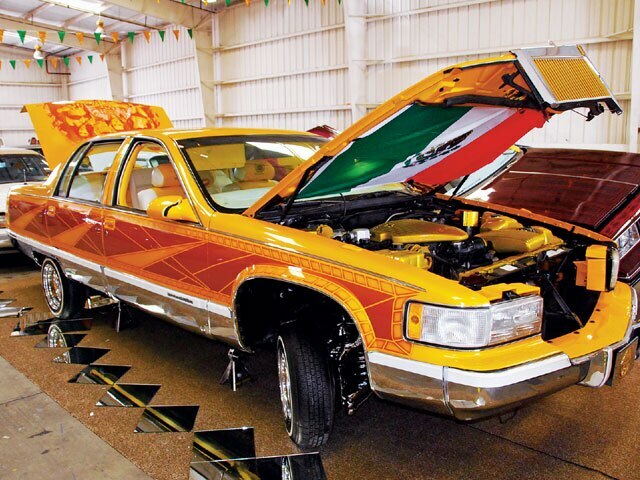 Hundreds of vehicles, inside and out, meant that you could spend the day seeing superb examples of lowrider art, but that was only the beginning. DJs kept the music pumping throughout the day, aftermarket suppliers had a tempting selection of accessories to personalize your ride, and the food court was handy when your tank was running low. 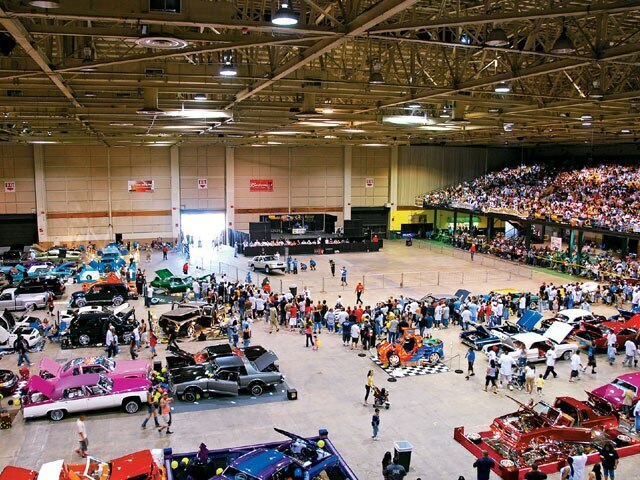 About the time that you finally made your way through the three large indoor buildings and spent some time outside checking the huge gathering of righteous rides, the next phase of entertainment began. It was time to get ready for the Hop. 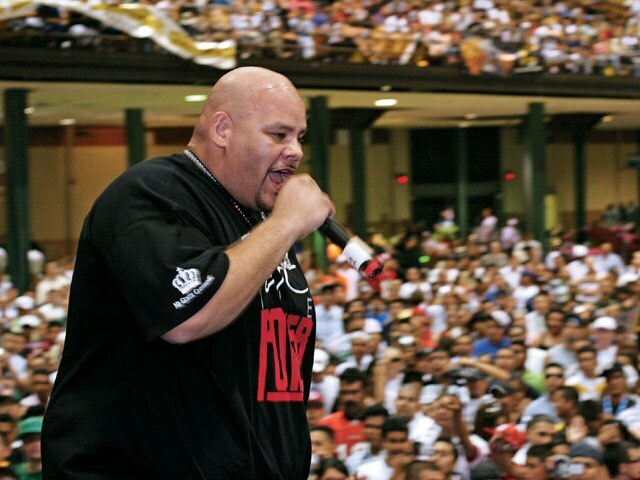 Excitement of a different sort occurred after the Hop, with Florida’s favorite homie, DJ Laz, emceeing the live entertainment that featured Brooklyn’s premier rap and hip-hop legend, Fat Joe, rockin’ the house with his own brand of high-energy sound. With hardly a break in the action (and keeping the excitement level equally high) was the all-time guy-favorite, the world-famous Lowrider Bikini Contest. For show competitors, however, the real adrenaline starts to pump about the same time that the entertainment phase ends. That’s when they listen closely for the announcements of who will be taking home the gold. Prized trophies were awarded to deserving customizers as a way of certifying their unique talents. 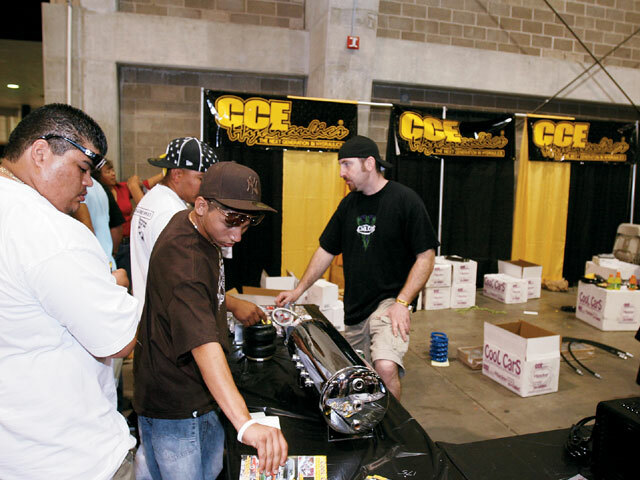 If you would like to be part of the fun, either as a competitor or spectator, check out the schedule listed in every issue of Lowrider for a show near you. 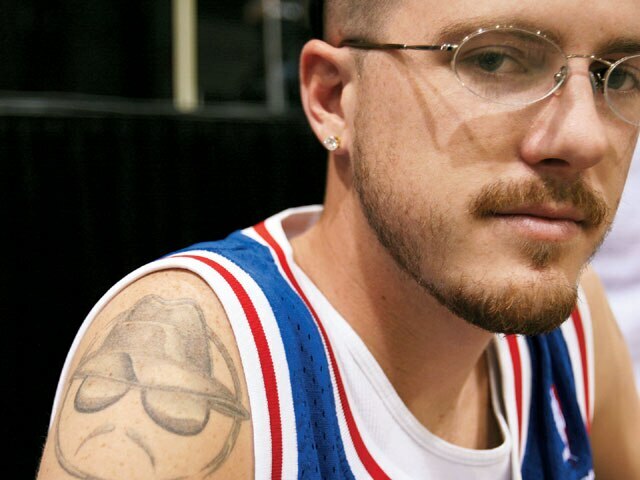 We’ll have our cameras ready and we’ll be lookin’ for ya. With action everywhere, Juan Gonzales’ radical ’89 Ford Ranger, “Tu Castigo,” was surrounded by crowds all weekend. 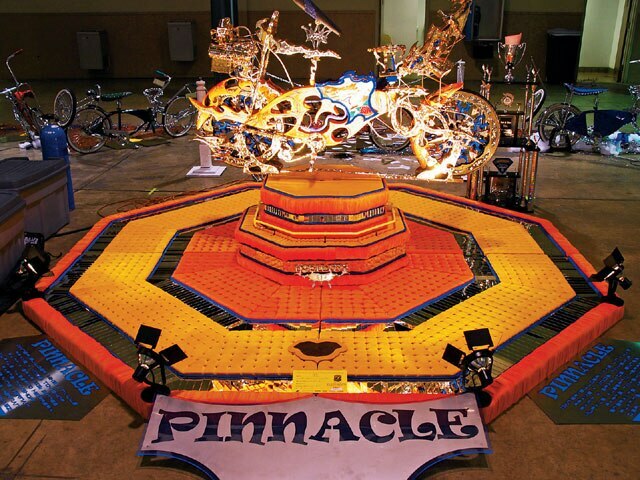 “Pinnacle” is the latest award-winning bike from Mike Linville. Vendors had all of the latest custom accessories to upgrade your ride. 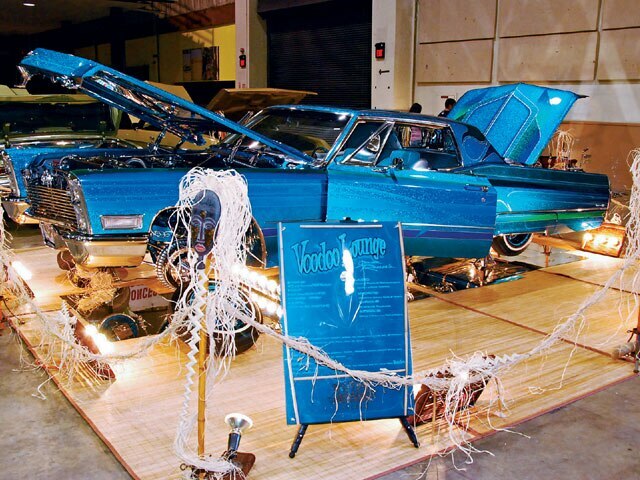 “Voodoo Lounge”The cool blue Caddy from Uce C.C. will put a spell on you. Pro Hopper whammy pumps and six batteries make it jump. Stereo just adds to the fun. 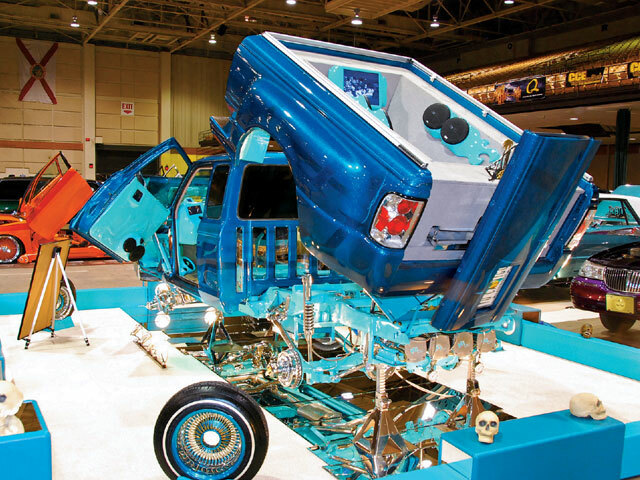 Loaded with innovative detail, Denise Hayes’ radical ’68 Impala is from Rollerz Only. A cloud’s eye view of “Tlaloc, God of Rain” by Augustin and Christine Cruz. Multiple shades of orange make Alex’s Civic from Rollin’ C.C. a crowd pleaser. Fat Joe kept hittin’ ’em with hits. 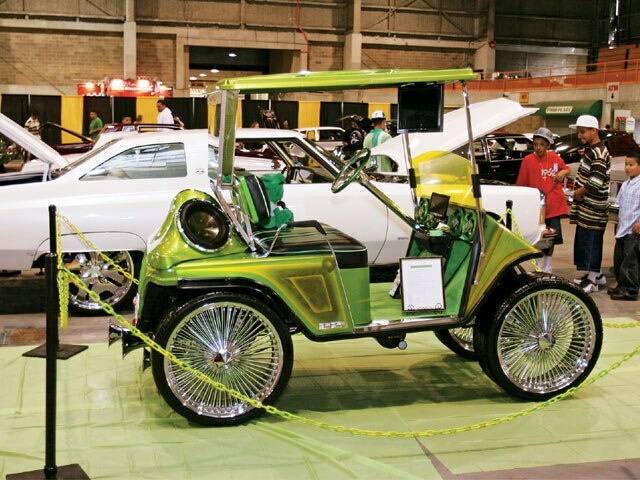 Air horns, full sound system and 22s… on a golf cart. 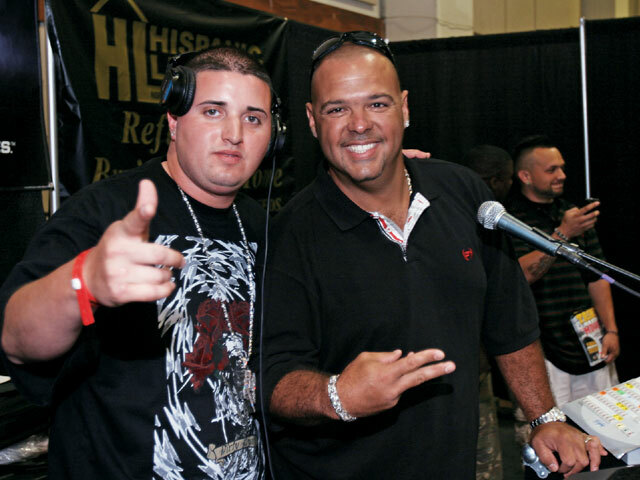 Terror Squad member and DJ Laz salute their fans. Beautiful Tampa weather made the outdoor displays as much fun as indoors. Everyone loves the classic lines of a ’64 convertible like this one from Obsession C.C. Beautiful Nikki wants to be a Lowrider model. Abe Lopez’ ’85 Cutlass, “Pure Elegance,” is appropriately named. 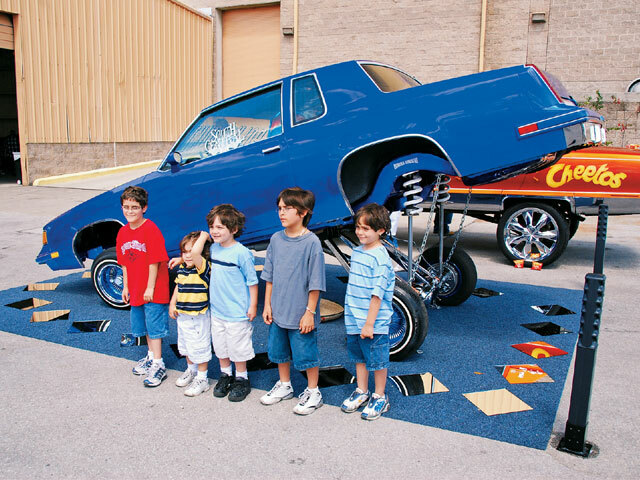 Everyone wants their picture taken with a cool lowrider in the background. 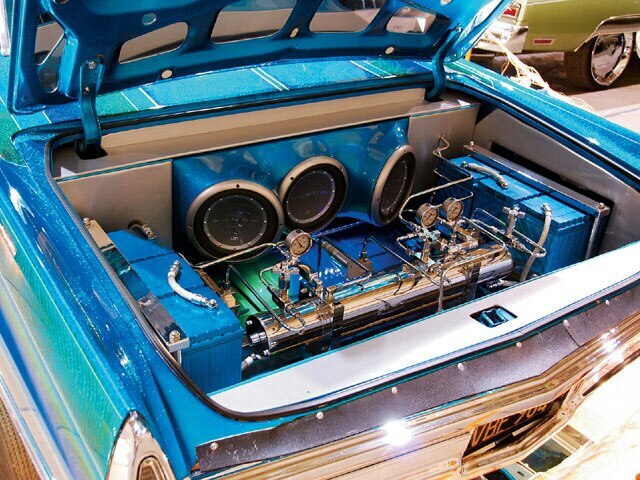 Benny Castillo’s ’66 is low and slow don’t you know. For some it’s a way of life. Paul Ireson’s twin-engined Mini pumps out a staggering 1100 horsepower! “Miss Mary Jane”Traveling all of the way from Houston, Texas, check out Dan Garcia’s “Miss Mary Jane.” Filled to the max, this setup uses a pair of gold Roadster pumps with four batteries, along with lots of stereo. Brian of CCE was making sales and answering questions all day long. The facilities at Tampa included three separate buildings to display this year’s great collection of vehicles. James Cobb’s slammed ’86 Mazda is from Low Lyfe C.C. 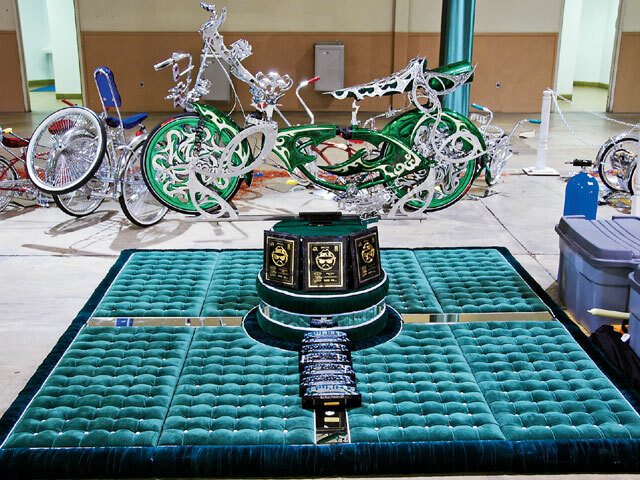 Jesse Hopkins incorporated his many Lowrider awards into his display. Spectators watched the Hop from the balcony in air-conditioned comfort. The facilities at Tampa are some of the best on the circuit. From Rollerz Only, check out “Machine'” orange ’85 Caprice. 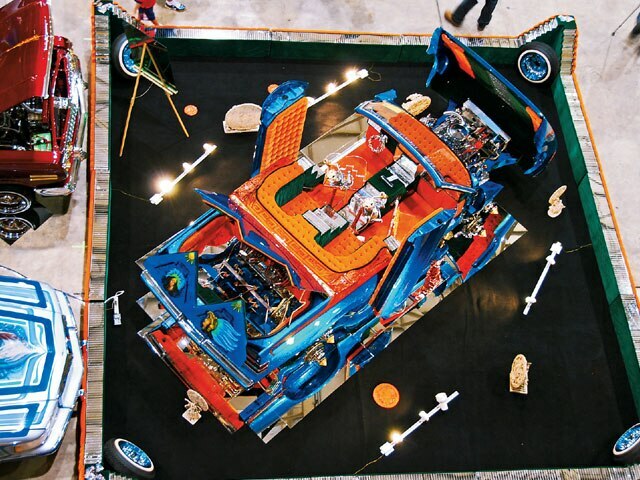 Emmanuel’s beautifully detailed and brightly painted ’96 Fleetwood rolls with Obsession C.C.